Ciang, Headteacher of the Stand by Me Lois School in Kalaymyo, was going about her morning chores at her home when she had a visitor appear with three small children. The man introduced himself as No Sawn, he had come all the way from Dampi village, Chin State, a full day's journey on foot to Ciang’s house with his three children in tow. Ciang spoke with the man and heard his story. He is over 70 years old and had 12 children from his first wife but sadly two have passed away. His first wife had left him and a little while later he had remarried, having a further 4 children. However, he has fallen on hard times. His wife is currently very ill, leaving him to care for her as well as earn an income to provide for his family but due to his old age he is finding it increasingly difficult to work and struggling to provide food for his children. No Sawn expressed his heartfelt desire for his children to be cared for, receive regular food and attend school to receive an education. He had heard of the Stand by Me Kalaymyo Children’s Village and the Lois School and believed that we were the answer to his prayers. Ciang was moved by No Sawn and could visibly see the needs of the three siblings. So Stand by Me promised to care for them and give them the loving home they deserved. At our Kalaymyo Children’s Village they will receive nutritious food, a comfortable home and medical care. Their father was full of joy when we told him this news and was so happy that they will also be able to attend our Lois School with all their educational resources provided for. With a great education and our support, they have hope for the future just like their father dreamed. After a cup of hot tea and a bread roll, they headed back to home to collect their belongings. 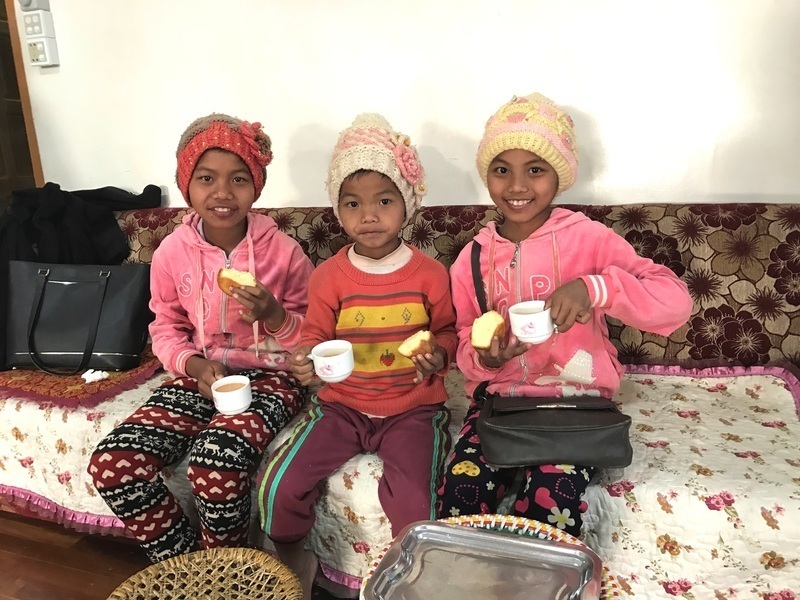 A couple of weeks later they arrived at our Kalaymyo Children’s Village and almost skipped into their new home, amazed and with the biggest smiles on their faces. Nun Duh Mawi (11), Lal Muan Pui (9) and MT Hluan Thang (7) are now Stand by Me kids. Kethy, age 15, is full of courage. She lives in Guacamayal in Colombia where poverty is endemic and many families, hers included, struggle to make ends meet. Not only has Kethy had to stay hopeful when opportunity is scarce but she has battled with medical problems.